You are currently browsing the tag archive for the ‘erie center lofts’ tag. 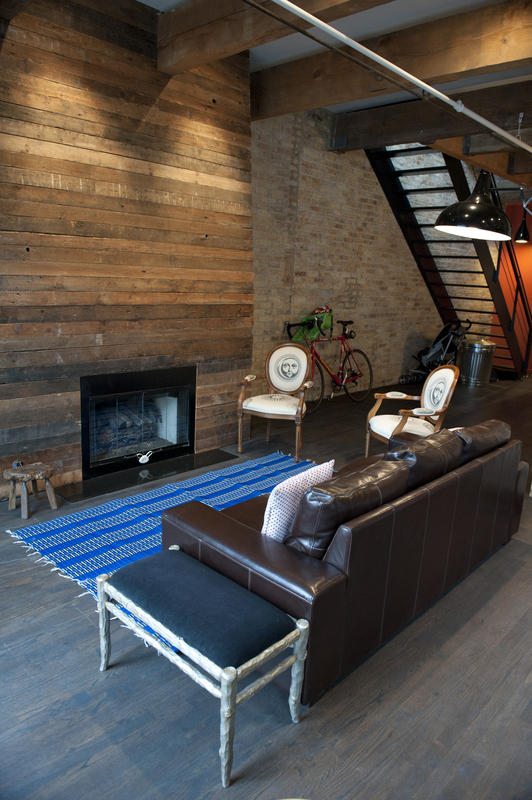 Curbed Chicago has named our Erie Street Loft project the best home renovation of the year! Thanks, Curbed! Relive the magic here and and in video form here. This project was also featured in CS Interiors Magazine, Apartment Therapy, and Curbed Chicago. Our Erie Street loft project is the center feature in CS Interiors Magazine. Full article inside. After years of ignoring its original warehouse aesthetic, due to a developer’s ‘apartmentizing’ of the building, this 2,400 square foot, two-story loft has been rehabilitated to show off its industrial roots. Layers of paint and drywall have been removed revealing the original timber beams and masonry walls while accommodating two bedrooms, master suite, and a lofty, open living space at the ground floor. 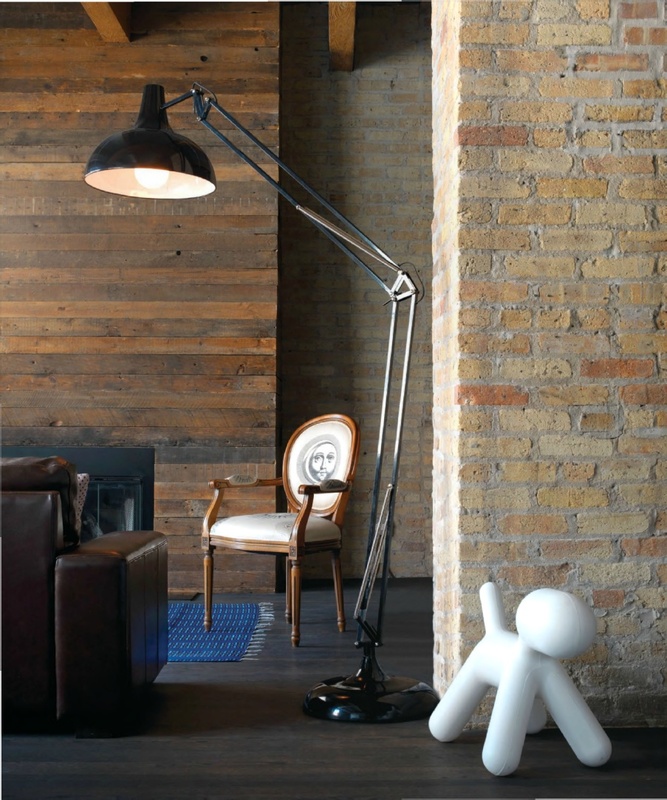 We wanted to avoid the lifeless feeling usually associated with industrial lofts by giving the space a warm but rustic aesthetic that we think best represented the original loft building. 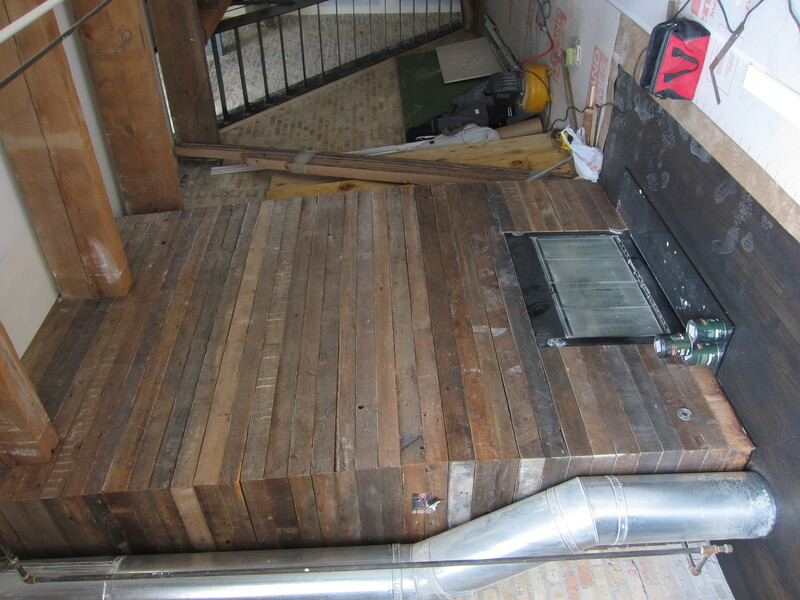 The finish materials also echo an industrial aesthetic, featuring upcycled reclaimed timbers as a fireplace surround and wall material, reclaimed stainless steel awning window, sourced from the ReBuilding Exchange, doors from a Chicago Montessori school, and salvaged metal pendant light fixtures. Description, before and after photos, and floor plans inside. People who comment on Apartment Therapy posts like our work at the Erie Loft.